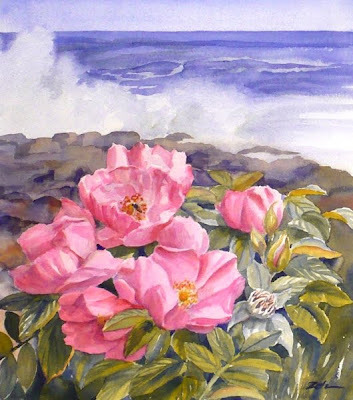 Pretty rugosa roses bloom with the pounding surf behind them. A little bee visits one of the roses. This painting was inspired by a walk along the rocky coast of Maine last summer. This painting has been sold. Thanks for stopping by today!